7,800 square feet of arcade gaming goodness, with 60+ arcade and pinball cabinets, plus a console area with 16 stations where you can play anything from Atari and ColecoVision to PS3 and XBox 360. The best part is that every game, every cabinet, every station is entirely all-you-can-play! One low entry fee gets you in the door and you can play to your heart’s content for as long as you want. Not staying long? Don’t worry, we have affordable hourly rates, too! 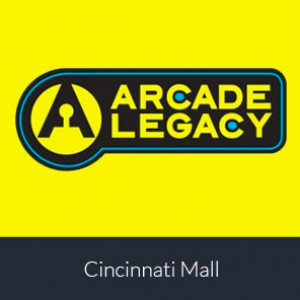 Arcade Legacy is also a place to buy, sell, or trade your CDs, DVDs, and used video games. Our items are very reasonably priced, and we pay top dollar, including a 20% trade-in value over our cash offers! We buy and sell for any system ever made, including import titles! We also host many kinds of events, including concerts, tournaments, LAN parties, comedy shows, art exhibitions, graduation/birthday/wedding parties, and anything in between! Please contact us if you’re interested in holding your event here.